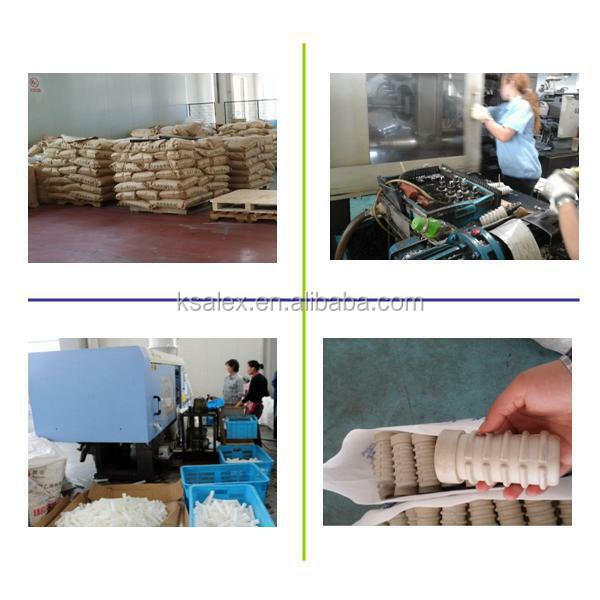 Railway Screw Dowel Package:25KG double-layer woven bag with fumigation-free wooden pallet. 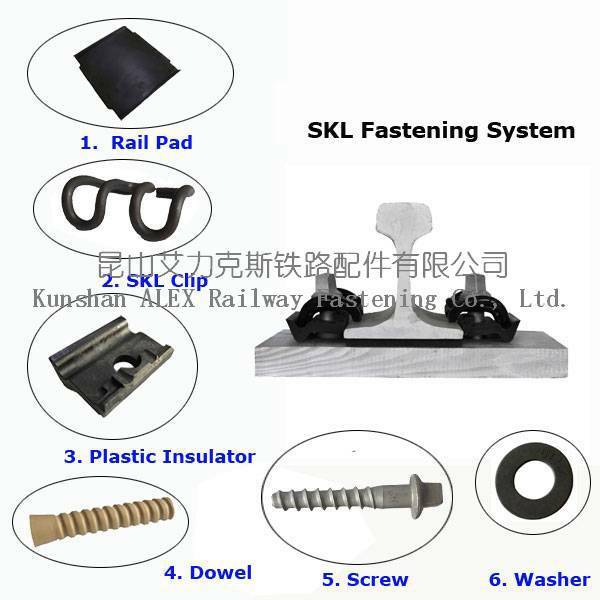 Also know as plastic sleeve, plastic insert, concrete dowel, concrete insert, Nylon Dowel, PA66 Dowel, being widely used in rail fastening. 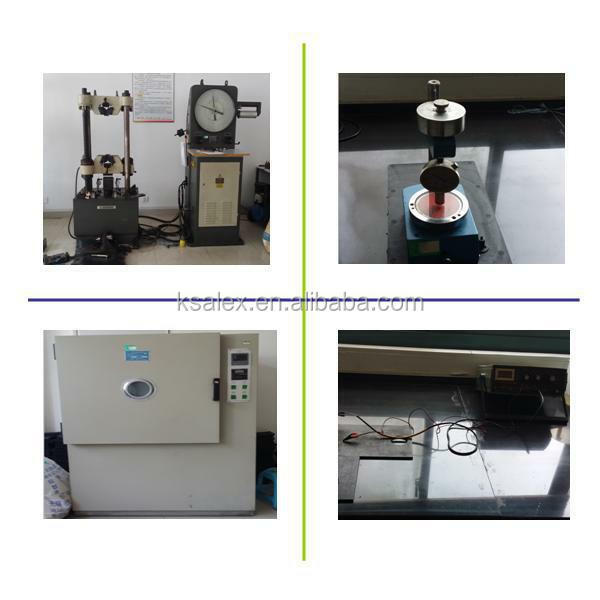 The Material are HDPE, PA66. 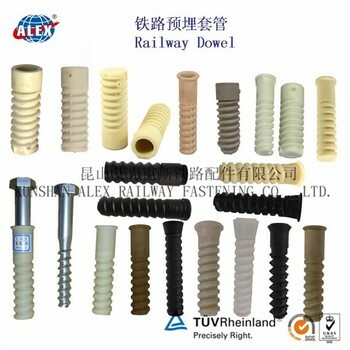 Railway Screw Dowel is a counter-party of Screw Spike, which is pre-inserted into the concrete sleeper. 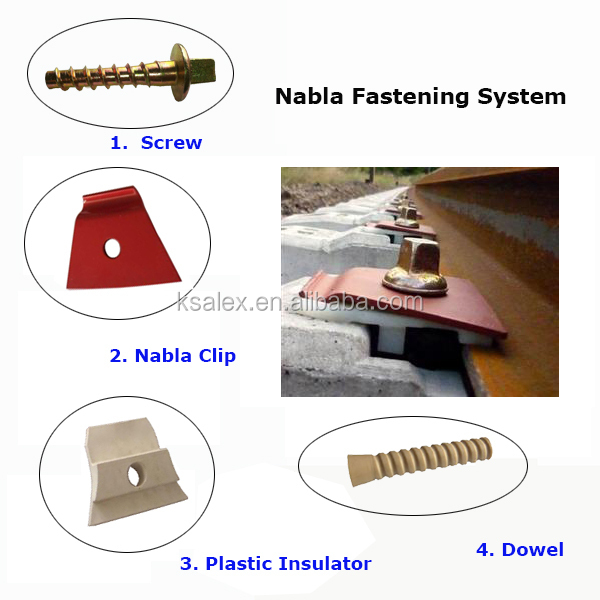 When we use the rail fastening system, the plastic dowel performed as the fastening base. 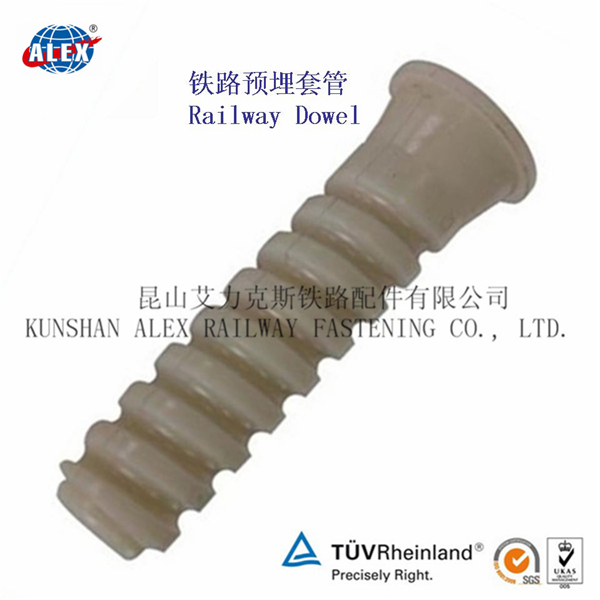 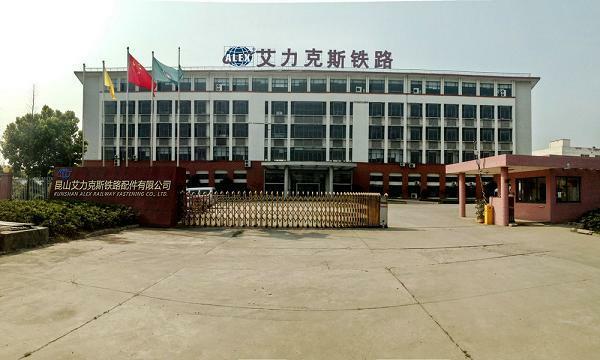 We are a leading Railway Screw Dowel in China. 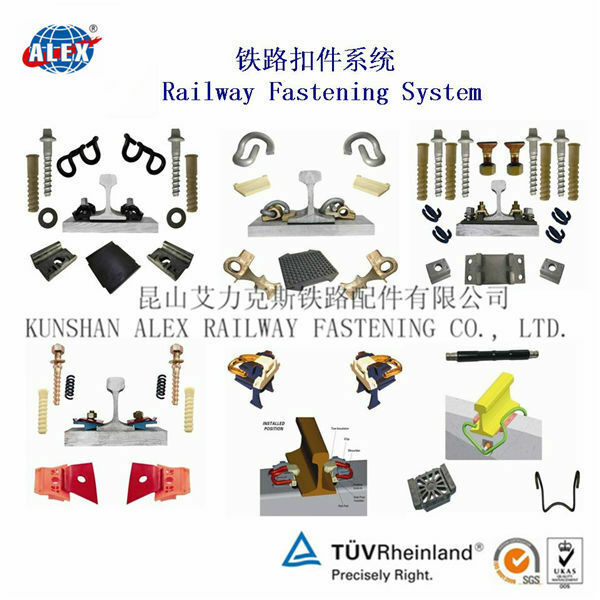 We can also make other rail fastenings such as railway screw, plastic dowel, rail pad, railway insulator, rail fish bolt, railway base plate, rail anchor, railway shoulder, rail bolt, flat and spring washer, fastening system of E type/SKL type/KP type/Nabla type. 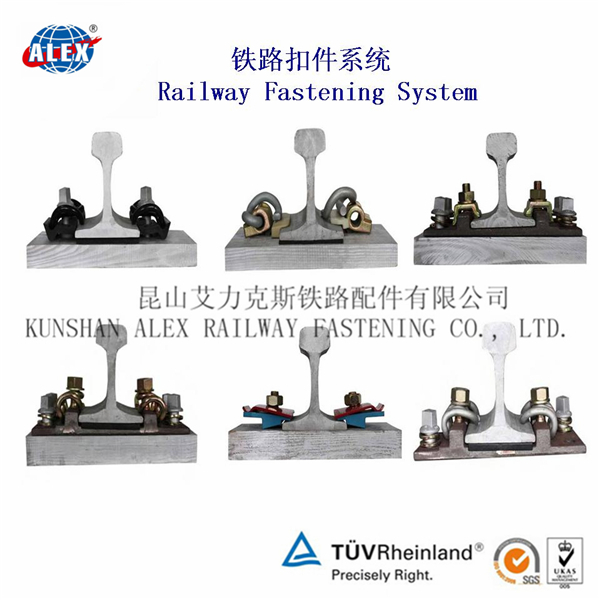 We manufactures Railway Screw Sleeve, Rail E Clip and Clamp, High Tensile Bolt with Nut and Washer, Rail Base(Tie) Plate, Rail Fish Plate, Rail Shoulder, Rail Screw and Spike, Fish Bolt with Nut and Washer, Rail Dowel, Rubber and EVA Pad, Crane Rail and Light Rail, Wooden Sleeper, Auto Bolt and Other spare parts.